Wanted: Food for the Future has a new addition. Renske Krimpenfort, student at the University of Leuven, will become our new event planner. Her responsibilities include crossing Flanders in our mobile Food Lab. It is part of our strategy to reach out to as many people as possible and offer them a taste of new dishes that include the three crops that we have been promoting: legumes, seaweed and quinoa. The Food Lab was developed last year by marketing students of the University-College UCLL. We challenged them to find a good way to give people a taste of the food of the future. The Food Lab aims to inform consumers with innovative dishes and attractive food. Wanted: Food for the Future will be attending numerous events and festivals so it’s likely you’ll run into us! 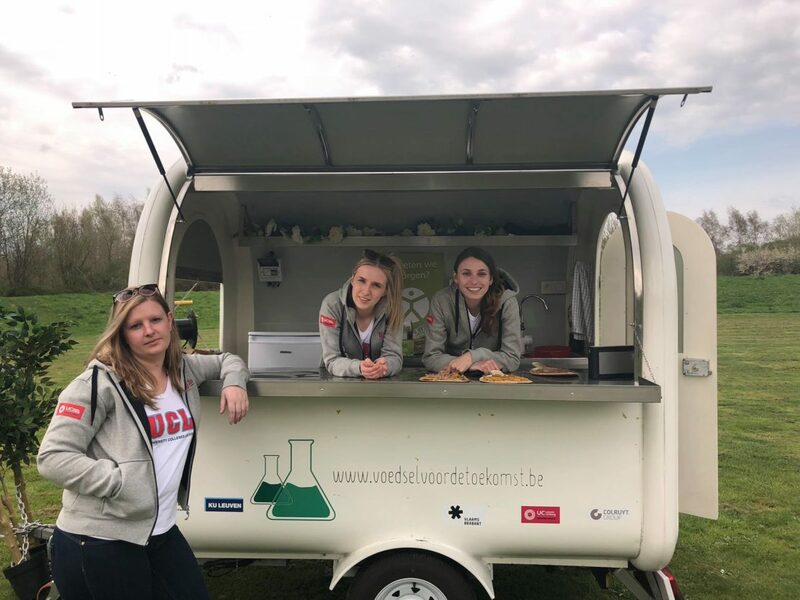 If you would like to receive more information or would like to host the Food Lab at your event, contact us through renske.krimpenfort@rikolto.org.